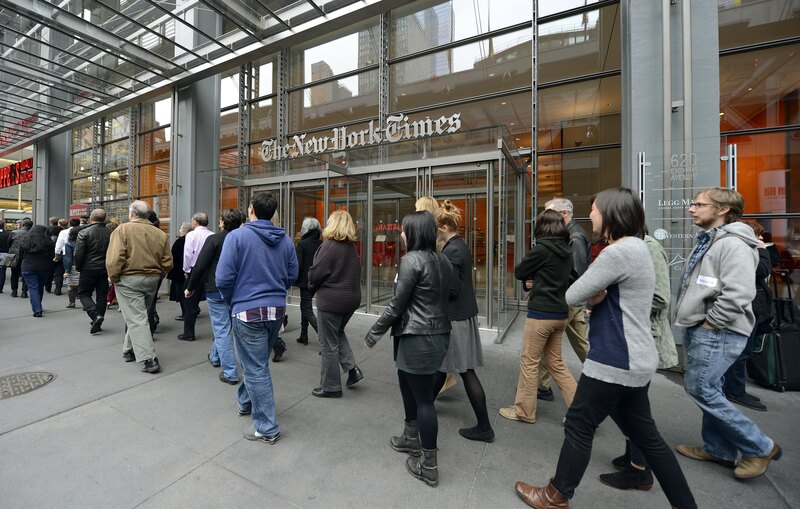 The New York Times is planning to launch an online Portuguese-language edition for Brazil in 2013, its parent company announced. Once it goes live, the site will publish 30 to 40 articles a day – two thirds translated from English, and one third written by its local staff. This announcement comes only two weeks after the Financial Times unveiled it was set to expand its presence in Brazil with the launch of a digital newspaper print site in São Paulo, a Latin America homepage and a new mobile app for the region. As you can imagine, this is not a coincidence, and Brazil is an attractive country for media titles keen to escape the crisis they are going through in North America and Europe. As we reported, data released by LinkedIn points out newspapers as “the fastest-shrinking industry in the US”; this is not true in Brazil, where print is far from dead. As a matter of fact, recent data shows that newspaper circulation grew by 2.3% in Brazil during the first semester of this year. These numbers are trustworthy, and come directly from the IVC, which is the institution in charge of monitoring newspapers and magazines in Brazil. In this context, it becomes less surprising to read that the FT’s strategy in Brazil includes a print edition. While the NYT’s approach will be digital only, it still follows the same ambition, which is to get a share of Brazil’s growth potential. For the New York Times, this isn’t only about Brazil, but also about expanding its international reach, starting with emerging economies. Earlier this year, it introduced a beta website in China, which will officially be launched this month. While he also said that the Times was still likely to get a Spanish digital edition in the next five to ten years, there is another newspaper that won’t wait that long to gamble on Spanish-speaking Latin America. This newspaper is Spain’s El País, which already boasts that 31% of its digital readers come from Latin America. According to Juan Luis Cebrián, CEO of its parent company Prisa, El País’ ongoing restructuring process implies an even stronger bet on the Latin American market. Yet, it remains to be seen whether his team will be able to execute this strategy. As 20 Minutos reports, Cebrián’s plans to lay off 30% of the newspaper’s staff has opened a rift between El País’ management and its newsroom. In other words, looking abroad may not be enough for newspapers to escape from their domestic problems – but their owners seem prepared to give it a try.